Let's talk about movies for kids....? That's where I ended up when I finally landed on the films I would discuss in my entry in Dell on Movies' Against the Crowd Blogathon. I have to be honest: I struggled coming up with a good, "notorious" for being hated film. There were so many that came to mind (I mean, I seriously wanted to go all out in support of Michael Bay's 1998 masterpiece Armageddon. 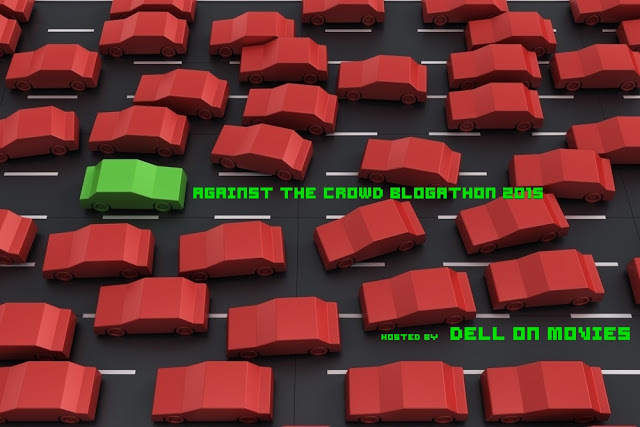 Alas, it is outside the range at 39%, and I really want to follow Dell's rules. ), but what I ended up with is a nice contrast. I have two films made for younger audiences, one that worked for no critics, but did for me as a kid and still does; one that I saw just this year that is undoubtedly one of the most-loved films of all-time. I hated it. I'll start by saying that maybe this movie might have worked if I'd seen it as a kid, but that wouldn't have been possible. I was 18 when it came out. I only watched for the first time at 30. I'm sure you, reader, will be willing to tell me what I'm missing. Honestly, I can't remember the last time (Heck! It may never have happened before.) I saw a movie so widely revered that was just so awful to sit through. Watching Miyazaki's Spirited Away, my first and only experience with his work, I felt like an ADHD kid I see in my class, shifting and fidgeting and just waiting for it to be over. I had to actually will myself to NOT pick up my remote control and turn it off. It was just...boring. And weird. And made no sense whatsoever, even in an Alice in Wonderland sort of way. A comparison that is just silly (and I've read it so many times). Alice in Wonderland is a story of wit and humor and playful language and how intelligent conversation and adventure lead to true growth. Spirited Away is a story of, well, I have no idea. I literally have no idea. I suppose its about a little girl named Chihiro who is upset with her parents for moving her away from home, so she somehow steps into world of oddities, including ghosts and huge babies and more ghosts and some 'friend" guy who shows up every once in awhile and then is a flying dog dragon thing and an old woman with a huge head and a dude with a bunch of spiders and a bunch of sludge and slime and other such liquids. This could all be cool and entertaining. But the dialogue is totally unmemorable, coming off as a cheap Saturday Morning Cartoon devoid of any understandable lesson, and the magical world Miyazaki has created ends up just being something pretty to look at every once in awhile. I can't argue with shots like this. They are gorgeous. And the work it took to make this film, illustrated by hand, is impressive. Mommy and Daddy eat too much and turn into disgusting pigs. Gross! If you want to read more of me hating on this movie, check out the conversation I had with the Four Ways a Best Picture 2002 panel. I was 7 years old when it came out. My Mom took me to see it on a school night. She did that a lot. The funny thing is...I still love this movie the same every time I see it. A box office flop and a critical disaster, Steven Spielberg's reimagining of Peter Pan starred the late Robin Williams as Peter Banning, an orphan turned full-time lawyer, part-time family man, who stumbles into an imaginary world of his own as well, but it's a world we know and it is fun and cool and filled with boys on skateboards, living in tree houses. It's Neverland. Land of fairies and mermaids and Lost Boys and Captain Hook. Hook has Peter Banning's two children. Peter Banning must realize that once upon a time...he was Peter Pan. This he must if he wants to defeat The Hook once and for all and rescue his kids. I get some of the arguments agains the film. The sets look like sets. The script is a bit loose and repetitive, I suppose. It doesn't have the full-on Spielberg zest in its action sequences. Just classic, cool Spielberg with a camera and an adventure story to tell. It is a totally satisfying ride. I have seen this movie at least a dozen times. It never fails to entertain me. I think I may do a Pepsi challenge with these two films when I have kids one day. Which one would come out on top with a 10-year-old? The pretentious "hot mess" (quoting myself) or the sincere (if a bit on-the-nose), colorful, action-filled Peter Pan story? 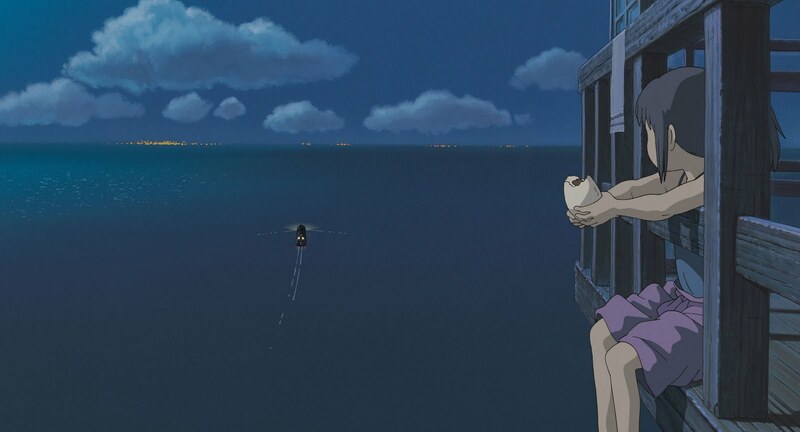 lol, I remember that conversation about Spirited Away.I stll love it, though. Glad you could be a part of this! Thanks! No problem, man. Love this idea! Definitely. Hook is just likable. Spirited Away just didn't work for me. I don't get the hype at all. lol I remember your thoughts on Spirited Away. I get why it's not everyone's cup of tea, though I loved it so. I didn't realize Hook had such a low score. I don't like that movie, but I always assumed I was in the minority on that one. Everyone I talk to likes it. I think Hook was really more of a critical failure and a commercial one at the time. I think people have grown to love it over the years. I love Spirited Away. I love the fact that it's fanciful, confusing, and rather dark. I honestly don't remember Hook very well, but I see to recall that it was a fun movie. Great post! Thanks, Stephanie! Spirited Away is just not for me, I've come to decide. I don't really like anime. I didn't find anything profound or memorable about this film. I know many do. I just didn't get it. 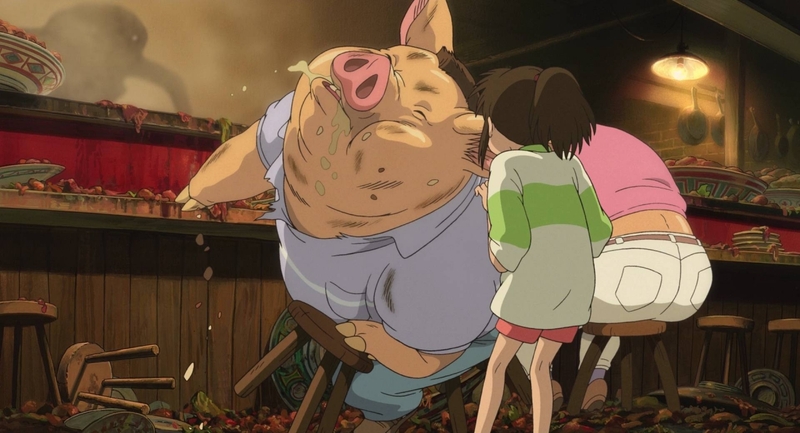 Well you know Spirited Away is animated so that more or less knocks it out for me and usually even when I break down and watch one in that genre, Up being the latest, I'm never as enamored as most people are. So I have a feeling that its one I can safely skip. I've never hated Hook, although Julia Roberts gave me the heebie-jeebies as Tinkerbell, nor do I love it for many of the reasons you mentioned. But I enjoyed your passionate defense of it. It does help to have seen it when you're young. Usually, though not always, when you go back and watch it as an adult that nostalgia factor helps to keep it a favorite despite some bumps in the road. 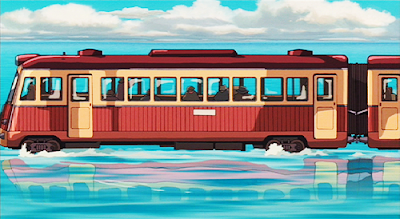 Please skip Spirited Away. It's gross. I love Up though, but not quite as much as most. The score is the best part, especially in the first sequence. Ratatouille and The Incredibles and Finding Nemo, though. Those movies are brilliant! My Mom was turned off by Julia Roberts as well. That's the studio needing a name right there. Worst part of the movie. It is definitely a nostalgia thing. I am with you on Spirited Away but that's because I have contempt for everything anime. That's probably my problem as well. I doubt if anything Japanese anime will ever appeal to me. And this is why I love you! Totally agree!